As your business grows, so do the challenges. By choosing GEM as your PA support company, you can outsource tasks to ensure your business runs smoothly and continues to grow. 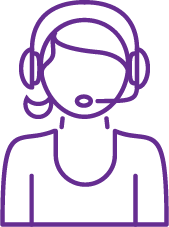 When you choose GEM for your call-answering support, we guarantee that each call will be answered professionally, whilst reflecting your company. Providing a professional reception support service. Helping businesses like yours prosper. GEM are an independent PA and Business Support company based in Bury, Manchester. We offer a complete range of business support packages to suit all your business needs. As a business owner, you will be faced with a multitude of challenges every day. Having flexible resources available can be a game-changer. The team at GEM understand that you are busy, and we can offer a cost-effective solution to help support you. This may be on-going within a specific area of expertise, or ad-hoc for specific project work. GEM was formed in May 2015 and continues to provide excellent support packages. We understand that every business is different, and therefore the needs of each business differs. We offer a free consultation to discuss your current situation and needs, in order to help you find the right solution to ensure you get maximum benefit from our services. “One of the biggest hurdles for a growing business to manage is time. As the business grows, so do the administration and bookkeeping tasks, which ultimately take the focus away from continued growth, and of course increase in profit margins.” That’s where GEM step in. Looking to add a professional touch with a registered business address and more, without the hefty price tag? GEM can help.